UMaine’s national search for the next permanent athletics director will be aided by consultant Gene DeFilippo, managing director of Turnkey Search. 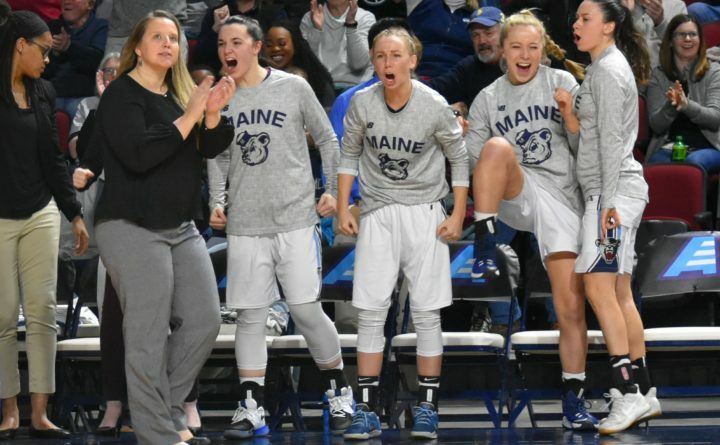 ORONO, Maine — The University of Maine has enlisted the aid of a consultant to aid in its search for a new director of athletics. UMaine’s national search for the next permanent athletics director will be aided by consultant Gene DeFilippo, managing director of Turnkey Search. He has four decades of experience in intercollegiate sports. DeFilippo is on campus this week to meet with university officials and staff, including the search committee chair, Dr. Robert Dana, UMaine’s vice president for student life and dean of students, and the 14-member search committee. DeFilippo also will be speaking with UMaine Vice President for Human Resources Chris Lindstrom, an ex-officio member of the committee, and other university officials, including President Susan J. Hunter and her cabinet, athletics department staff, student-athletes, alumni and community members. DeFilippo spent 15 years as the athletics director at Boston College and held the same position at Villanova for four years. During his work at Turnkey Search, he has consulted on athletics director searches for institutions such as Georgia Tech, the University of Michigan, Bowling Green State University, the University of Alabama, the University of Nebraska and the University of North Carolina at Charlotte. The search committee is expected to make a recommendation to incoming UMaine President Joan Ferrini-Mundy this summer with the aim of having a new athletics director in place by Sept. 1. UMaine looks to replace Karlton Creech, who stepped down in February to take a position as the University of Denver’s vice chancellor for athletics, recreation and Ritchie Center operations beginning May 1. Creech replaced Steve Abbott as the athletics director at UMaine in February 2014. During his time at UMaine, Creech helped secure a $1.5 million, three-year award from the Harold Alfond Foundation, which established the Alfond Fund in the UMaine Foundation that centralized a fundraising structure for UMaine athletics. It also continued support for the football program. There was also a 20 percent increase in annual giving to athletics, including more than $1.5 million for an endowed fund to support the men’s hockey program. And the number of student-athletes being recognized for academic achievement with a grade point average of 3.0 or higher increased every year. Creech came from the University of North Carolina, where he was the school’s senior associate director of athletics. He served as the chief of staff and oversaw the department’s capital projects, human resources and facilities. The Chapel Hill, North Carolina, native and North Carolina State University graduate, was the associate executive director for the University of North Carolina’s Educational Foundation Inc. from 2004-2012.